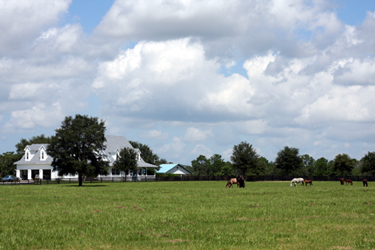 Sugarbrook Farm routinely accepts outside mares (horses or ponies) for breeding by artificial insemination (A.I.) to the stallion of your choice. The staff is prepared and trained to handle all aspects of the breeding process- from stallion contracts through total mare care. Farm veterinarians are experts in the A.I. process and pregnant mare care. Pick the stallion of your choice for breeding and be as involved as you like. If needed, let Sugarbrook handle all the details! Layups for horses or ponies are occasionally accepted, on a very limited basis. The Sugarbrook veterinarians are totally equipped to handle any medical problems. Sometimes, all your horse needs is just a little R&R! Sugarbrook Farm offers A.I. services on both standing stallions, and has shipped all over the United States and also to Canada. Shipments have gone to some top breeding programs, as well as private farms and commercial facilities. The farm pregnancy rate is very high, but the end result is directly impacted by the health and fertility of your mare, as well as the care by your veterinarian. 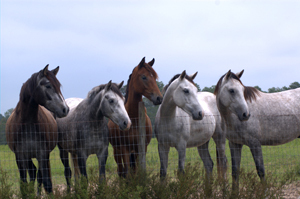 The farm offers both long or short term mare care, according to your needs. Many customers leave their mare at Sugarbrook through foaling. Owner participation is welcomed during the foaling process. The Holbooks have made many new friends through mare care and foaling! For those not equipped or unsure of how to care for a newborn foal, the farm offers imprinting, daily handling, and lovely turnout with other foals for fun and play!